Not sure this would be possible. One must have a mind in order to read a mind. Actually the House and Senate! This should not be surprising. Will Congress pass a bill to halt ALL trade with Russia and China, via Saudi Arabia? Lets stop all transactions and communication with countries that do wrong. No import/export business. Let us destroy our own economy in the mean time. Come on Nancy, Chuck! You both think you have all the answers! Where the hell are you? They are so excited, they could almost wet themselves. Nancy had to show her newly gained power by throwing a victory conference/speech after her party, of which she believes she is top dog, won back the House. Her fellow House Dems will have to vote her in as Speaker, but she assumes that is automatic. I FOR ONE HOPE SHE IS RIGHT! These three California nut balls, will give me plenty to write about. Their priority from their agenda is to impeach Donald Trump. Nancy has avoided saying so, during the midterm campaign in fear of losing voters. Now that the election is over, you’ll hear her follow the impeachment hounds and fall into the nut bowl. There is definitely something wrong with the water in California. 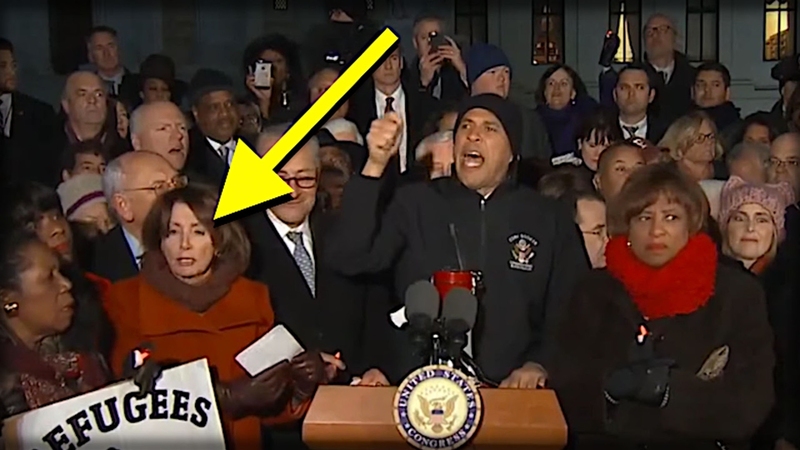 Pelosi mentioned they now have our government back to Checks and Balances and can keep Trump in line. 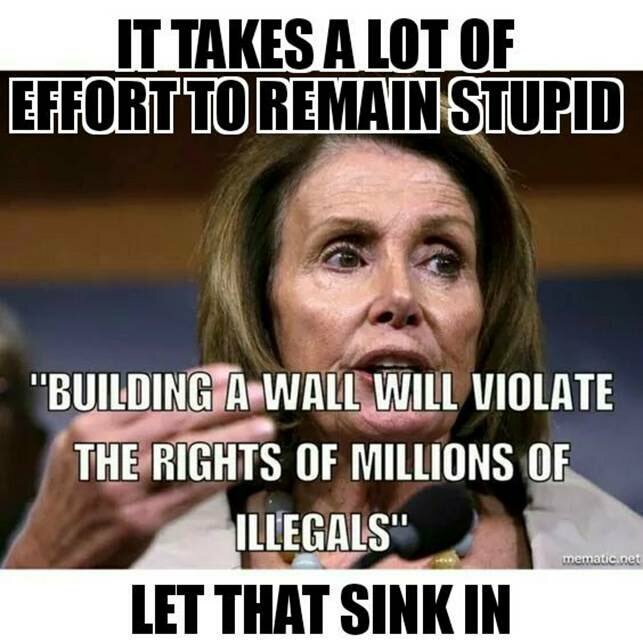 Dear Nancy, that applies to all, you are held in check as well. Try to explain that to Maxine and Adam, if you even understand it yourself. Your House is not the only house, there is the Senate (Republican control) and the WH (Trump = VETO). Go ahead, waste tax payer money, investigate, investigate, investigate. Just be careful what you ask for, you have some dirty little partners this can all backfire on! Some of your Senate buddies (Dianne) may get bit too! Nancy Pelosi, on illegals children being separated from parents. Nancy has a short memory. “llegal migrant children were separated from their illegal migrant parents after illegally crossing the border into the U.S. in 2009, 2010, 2011, 2012, 2013, 2014, 2016, 2017, and all of sudden out of the blue people like Nancy just decided to start caring in 2018. This issue has been going on for years…long before current President Trump or even former President Obama. With virtue signaling all over the place, a truckload of overly emotional hysteria, and a complete void of historical fact and context, this was not a sudden change or a new policy. The border did not magically move.” – from Right Wing News. I don’t always agree with Rand Paul, but even when I don’t, his argument is usually at least logical. Now according to my logic instructor in college, logic isn’t always right…but you can visualize the point, understand how the point got to the point and the person making it. Logical people are at least intelligent. This might explain why the Left is so illogical………they’re just not very smart. Nancy, Chuck, and on and on………… oh and Hillary (criminally intelligent).